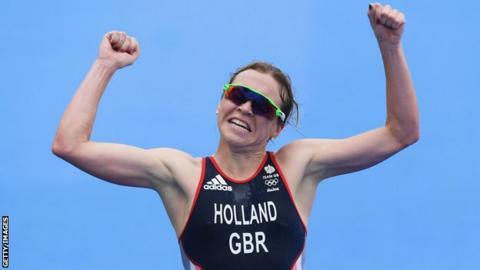 Mixed-gender events in athletics, swimming, table tennis and triathlon have been approved for the Tokyo 2020 Olympic Games, the IOC has announced. The Games will include a 4x400m mixed relay in athletics and a 4x100m medley mixed relay in swimming. IOC president Thomas Bach said the Games will be "more youthful, more urban and include more women". Swimming will also include two further new events - a men's 800m and women's 1500m freestyle races. Tokyo will have five more sports than Rio, taking the total to 33, but the existing sports have been given 15 more events. Cycling has gained two new events, for men and women, and basketball will have a three-on-three event. The introduction of freestyle BMX and the madison to the cycling programme make that sport the third largest at the Olympics in terms of medals, with 66 up for grabs. Other additions include a mixed relay in the triathlon and a mixed doubles in table tennis. "We have taken a really important step forward in terms of gender equality," said IOC sports director Kit McConnell. Rio 2016 champion swimmer Adam Peaty said on Thursday the introduction of mixed events for Tokyo 2020 would make the Olympics "more fun". He told BBC Sport: "It's something that would make things [at the Olympics] a little bit more fun. "Obviously it's very serious, but it's great to mix things up from what they've been for so long as it adds a little spice and they're great to watch." The IAAF welcomed the introduction of mixed relays but says it could be difficult to implement. It said in a statement: "We should not expect the athletes entered to compete in the men's and women's 4x400m relays, from which the participants for the mixed relay will be naturally drawn, to compete in a third round of heats and finals for the mixed relay without allocating the appropriate space and time in the programme or enabling teams to bring additional athletes." IAAF president Sebastian Coe said: "Athletics is the number one sport at the Olympic Games so we want to work with the IOC to drive effective and meaningful change. "We will also work with the IOC on how best to introduce a mixed relay event in Tokyo following the huge success it enjoyed in IAAF world relays and Nitro Athletics this year." The IOC is treading a fine line. Introducing the likes of skateboarding, sport climbing and BMX freestyle is aimed squarely at building a youthful audience, a constituency it's desperate to attract. Improving gender balance in the Olympics has also been a long stated ambition. It all means at Tokyo 2020 there will be an increase of more than 30 medal events, but the IOC is also tasked with a commitment not to make the Games even more bloated. So there will be fewer athletes. That means some traditional sports have been told to trim their quotas. Athletics has been hit hard. The IAAF expressed its disappointment and wondered how it could implement a mixed relay with fewer competitors. More grumbles can be expected. Mutterings of discontent can also be expected with the addition of hip trendy urban sports. Some will say it dilutes the overall quality and importance of the Olympics. Faced with an ever dwindling number of cities prepared to host the Games and a generally older demographic watching them the IOC felt compelled to act. The Olympic world moves slowly and the pace of change might not be rapid enough, but with advertisers and broadcasters coveting younger viewers it's a direction the organisation must surely follow.